Taylor look alike. . HD Wallpaper and background images in the Taylor schnell, swift club tagged: taylor swift look alike. This Taylor schnell, swift photo might contain porträt, kopfbild, nahaufnahme, portrait, headshot, and kopfschuss. Taylor schnell, swift - New Country Weekly Photoshoot Picture! Wow! 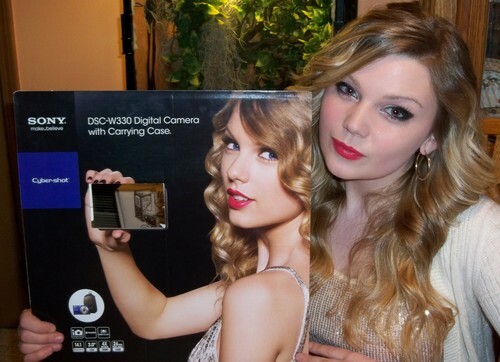 She really does look a lot like Taylor!